Now in it’s 16th year and still furiously rockin’, The Billy Fury Story is going back on tour and will be coming to Glasgow’s King’s Theatre for just one night in January 2018! A shy young boy from Liverpool is re-christened Billy Fury and becomes one of Britain’s best loved rock stars. 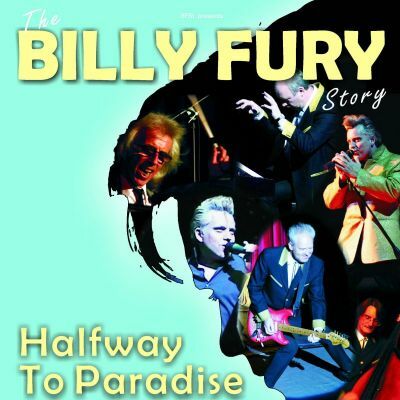 Halfway to Paradise: The Billy Fury Story is back on tour and Fury’s Tornados have announced one date in the King’s Theatre Glasgow on the 5th of March 2016! Now in its 18th year and still furiously rockin’, his own band, Fury’s Tornados, re-live his timeless hits – Last Night Was Made For Love, I Will, Jealousy, Halfway to Paradise and many, many more. With the stunning Colin Gold as Billy Fury – ‘A voice blessed by heaven’ (Nottingham Evening Post). Set to a giant nostalgic moving backdrop of this wonderful era & including personal movie footage of Billy. This is a great 60’s night out, so don’t miss out. Halfway to Paradise: The Billy Fury Story is coming to Glasgow’s King’s Theatre for just one performance on the 28th of January 2018. Get your tickets soon!